With the aim to provide unique experiences and enhance personal engagement with consumers, HP Inc. has collaborated with Coca-Cola to bring the famous ‘Share a Coke’ campaign to India. The initiative aims to give people the opportunity to celebrate relationships that have evolved over the years and reignite them by creating a moment of happiness that comes from sharing a Coke. “Share a coke” campaign is being technologically supported by HP Indigo digital printing. In line with the initiative’s principal idea ‘Har Rishta Bola, Mere Naam Ki Coca-Cola,’ Coke cans and bottles are now available with 20 special relationships printed on them, including Bae, Bro, Dude, BFF, Dad, Mom, Daughter, etc. Labels have been created in 12 languages, which are English, Hindi, Tamil, Telugu, Kannada, Bengali, Malayalam, Oriya, Assamese, Gujarati, Punjabi and Marathi. Each relationship is accompanied by an exciting descriptor, such as Grandad (Old School. Yet Cool), Grandma (Scolds me. Spoils me), Daddy (My teacher. My friend), Mom (Above the rest. Simply the best) Son (My devil. My angel), Sis (Supermodel. Super role model), Bro (Troublemaker. Merrymaker), Boss (Pushes me. Promotes me) and nicknames including BFF (Laughs with me. Cries with me), Bae (Bugs me. Hugs me). A total of 11 crore labels will be printed digitally using HP Indigo 20000 digital press on PET bottles through the machine installed at Huhtamaki, an HP customer based in Mumbai. Ajay Bathija, Director-Colas, Coca-Cola India & South-West Asia said, “We are delighted to partner with HP for the Indian spin of our ‘Share A Coke’ campaign, that takes a refreshing new look at relationships. This campaign aims to encourage Indian consumers to celebrate relationships that have evolved over the years and reignite them by creating a moment of happiness that comes from sharing a Coke”. “As brands continue to look for ways to connect with their audiences, we are seeing a growing trend of mass personalized packaging, including desktop label printing campaigns in stores. The HP Indigo 20000 opens a realm of possibilities for flexible packaging converters, by enabling them to efficiently and profitably cope with changing market demands for shorter runs, more varied SKUs, and customized campaigns. HP Indigo is the only digital color printing process that matches gravure quality and is safe for primary food packaging,” said Michael Boyle, Vice President – Graphics Solutions Business – Asia Pacific and Japan, HP. 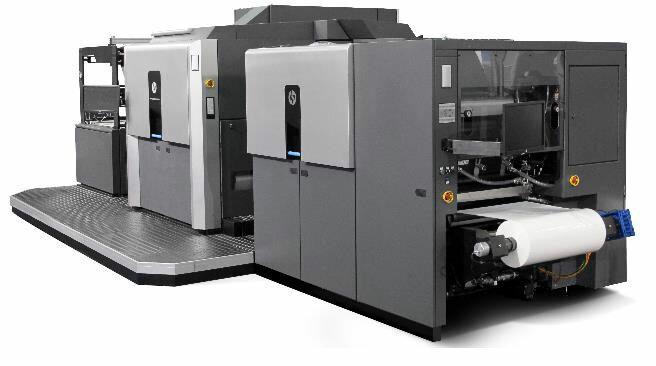 The HP Indigo 20000 Digital Press thrives in the most demanding converting environments to deliver the highest quality for the world’s leading brands. You can deliver high performance applications with immediate time to market. HP Indigo 20000 is best in class digital press for doing these kind of print jobs with lot of new innovations. The HP Indigo 20000 Digital Press is a market-proven, 762 mm mid-web solution with an image format, speed and imposition capability that make it a highly productive and cost effective digital labels and flexible packaging solution.